Audi is celebrating the arrival of its 100,000th A1 hatchback. 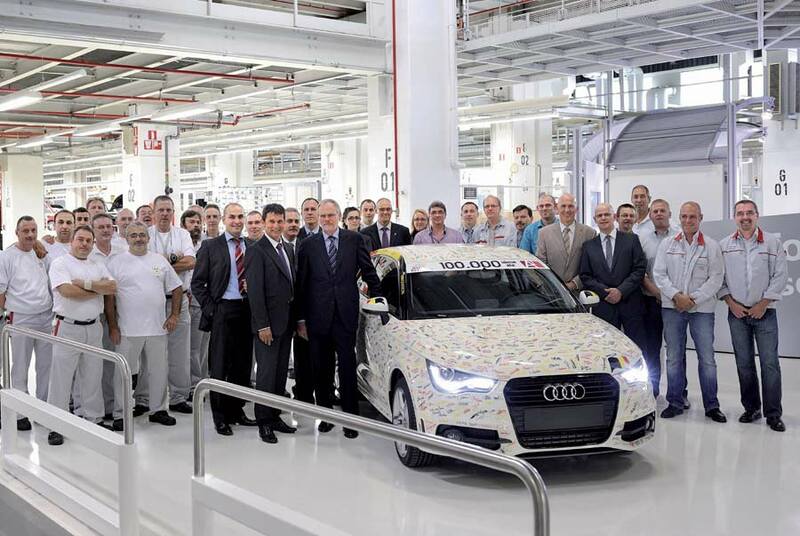 King Albert II of Belgium was present at the factory in Forest along with Audi AG Chairman Rupert Stadler, as all 2,400 workers at the plant signed the milestone model. Audi acquired the Brussels plant back in 2007, and spent around €300 million on it, before the car’s official launch at the 2010 Geneva Motor Show.